Paul Te Poa Karoro Morgan has been on the board of Wakatū Incorporation (Wakatū) since 1986, and chair since 2001. In his role as chair of Wakatū, Paul has lead the development of an ambitious values-based intergenerational strategy for Wakatū that spans 500 years – Ta Pae Tawhiti. He lead the evolution of Whenua, the property development division of Wakatū, and Kono NZ LP, the wholly-owned subsidiary business of Wakatū. Kono is a fully integrated business which grows, produces and distributes award-winning wine, cider, seafood, horticultural produce and 100% natural fruit bars from its lands and aquaculture farms in Te Tau Ihu, top of the South Island. Kono employs around 500 people, with sales to 30 plus countries under the Kono family of brands. Paul has described his involvement in Wakatū as ‘the journey of my lifetime’, and he is proud of his role in building a unique organisation of committed and skilled people who believe in the purpose and values of Wakatū and service to owners. Paul has had many directorships and roles with government, public, and private entities across agribusiness, science and business. Paul served as chief executive of the Federation of Māori Authorities, representing the interests of Māori business, from 1996 to 2007. 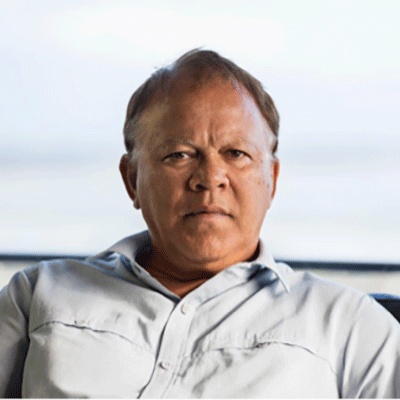 He was awarded a QSO for services to Māori business in the New Years’ Honours in 2010.